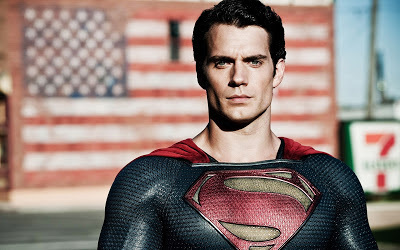 If you have in any way enjoyed this site, you can thank Superman. The Christopher Reeve films ignited my boyhood imagination and jump-started my lifelong cinema obsession. 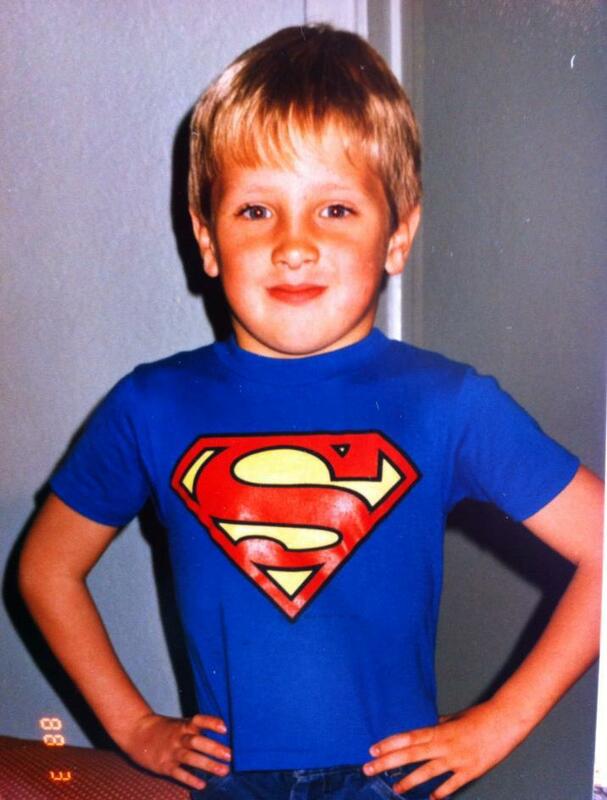 Does Man of Steel live up to the wildest expectations of my inner child? Can you take your children to it? Read on! Even clocking in at two and a half hours, Man of Steel never lags and never bores, thanks to a smart screenplay by Batman Begins scribe David Goyer. This new film, like his re-imagining of the Dark Knight, stays true to the mythology while expanding it, fleshing it out, and thinking it through to make it almost believable. Henry Cavill is perfectly cast as Kal-El/Superman. Though he doesn't yet match Christopher Reeves for charm, he's a worthy heir to the role thanks to his layered performance. He brings more complexity than Clark Kent has ever had on film, without losing his defining altruism, virtue, and humility. That he looks like he walked right out of the comics certainly doesn't hurt. 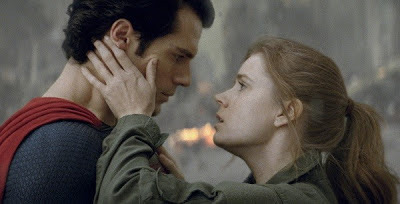 Cavill has a very touching chemistry with Kevin Costner and Diane Lane as the Kents, as well as Russell Crowe, his Kryptonian father who sends him to Earth to escape the destruction of his home planet. Crowe's work in the film is more than enough to make his Les Miserables detractors remember what a terrific actor he is. All of the performances are excellent, as a matter of fact. Amy Adams (The Muppets) gives us a spunky, strong-willed, and intelligent Lois Lane. Michael Shannon (World Trade Center) plays General Zod not as a one-dimensional villain, but as a patriot whose horrific actions have relatable motives. 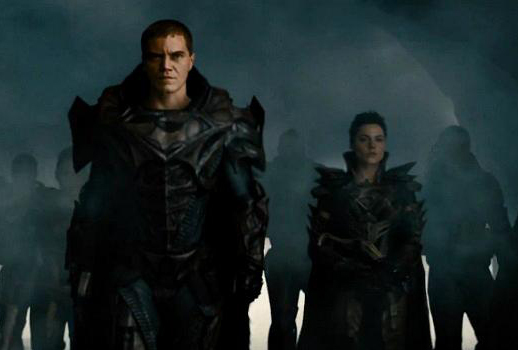 He's frightening and absolutely riveting, as is Ante Traue as female warrior Faora. Zack Snyder's direction is confident and imaginative, with alien technology and culture that is unlike anything audiences have ever seen. 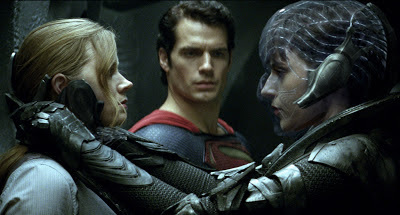 Those who complained that 2006's Superman Returns skimped on the action won't have that qualm here, though some are now griping that Man of Steel has too much action (make up your minds, people!) The fights and battles, from where I sat, were terrific, and I appreciated that it didn't take Kryptonite to make Clark vulnerable. Though he has super-powers, he can't be in two places at once. There's no cheating here, no turning back time. Superman isn't always able to save the day: people die and he has to live with it. 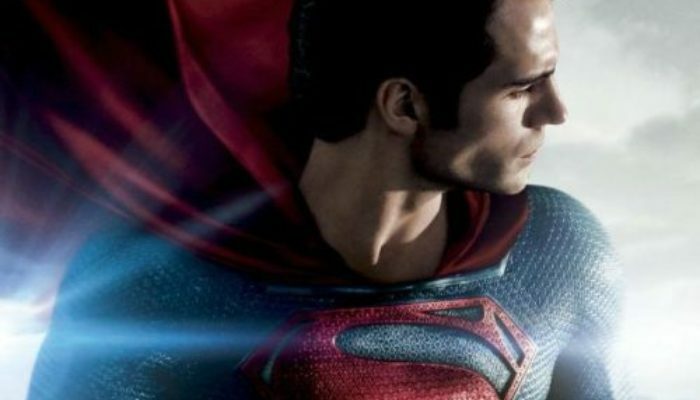 I loved that: it gives the film a genuine tension that other Superman films, for all their strengths, could never muster. 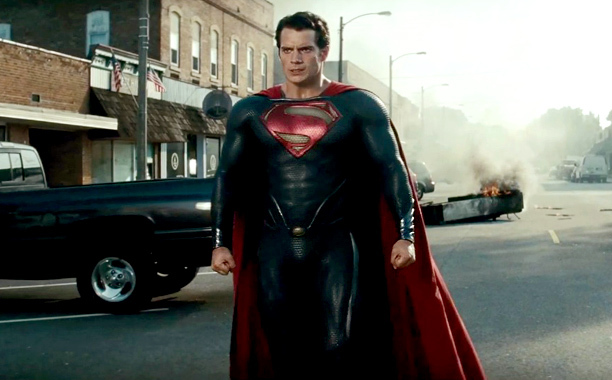 Hans Zimmer's score is triumphant, intense, and emotional; it's not as instantly iconic as John William's music for 1978's Superman, but it's fine music nonetheless. going on, some emotional moments are rushed, some characters are under-developed, and the film doesn't seem to have time for a sense of humor (a few one-liners excepted). 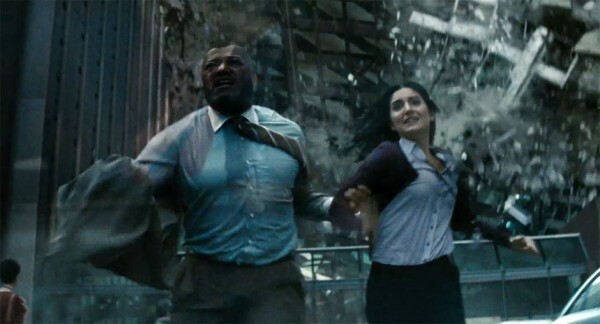 It is true that Superman's super-powered battles with Zod and his troops result in numerous civilian fatalities, but it's worth noting that Clark saves everyone he can. “Why doesn't Superman just lead the villains into the desert to fight?” some might ask. I don't think the bad guys would have followed, what with genocide being their goal and all. Though it's certainly more intense and mature than previous Superman films, the character's goodness, American patriotism, and politeness remain intact. Fans of the character will be richly satisfied, and others may find themselves pleasantly surprised. 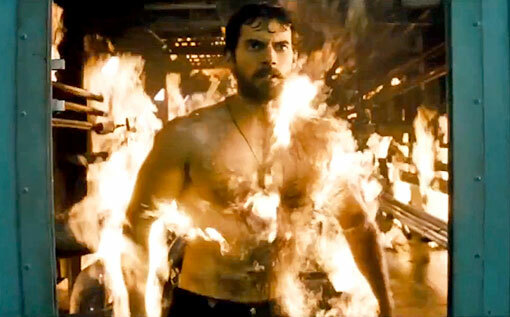 Man of Steel is a must-see. CONTENT OVERVIEW: Man of Steel is rated PG-13, a rating it earns with a few moderate profanities (including anatomical references) and copious amounts of menace and hard-hitting violence. X-ray vision causes characters to see people as a ghastly collection of organs, exposed muscles, and bones. One character is stabbed and others get bloody gashes on their faces. Humans are thrown and killed in explosions and collapsing buildings. Super-powered fight scenes are intense and occasionally brutal, including shootings with lasers and one neck-breaking (right off camera). Not recommended for very young children. 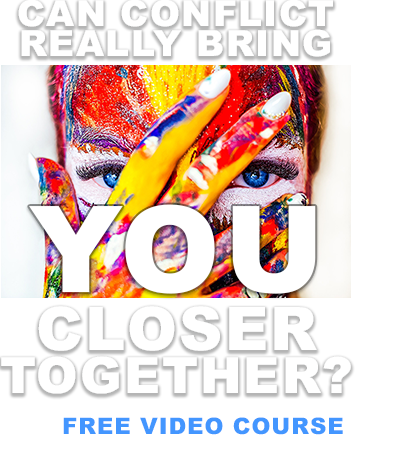 MESSAGES TO DISCUSS: Each of us can be a force for good (Matthew 5:14-16). Superman is reminiscent of Jesus, sent to Earth as a Savior of sorts and as an example to inspire the best in humanity (3 Nephi 18:24). Sometimes we have to take a leap of faith for great things to occur (Ether 12:6). Like Moroni, Superman does not delight in bloodshed, but will fight to preserve the freedom of his country and to save the lives of innocent people (Alma 48:11-12).